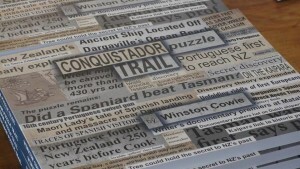 The Embassy of Spain in New Zealand and author Winston Cowie have collaborated and translated Cowie’s book, Conquistador Puzzle Trail, into Spanish. Conquistador Puzzle Trail proposes that Spanish or Iberian navigators may have been the first Europeans to voyage to New Zealand, over 100 years pre Abel Tasman. As part of the celebration of launching the Spanish version, the Embassy of Spain and Cowie are sending a free English version to 350 secondary schools and universities in New Zealand. Former Ambassador of Spain to New Zealand the honourable Manuel Viturro De La Torre; author Winston Cowie; and Dr Juan Pineiro. 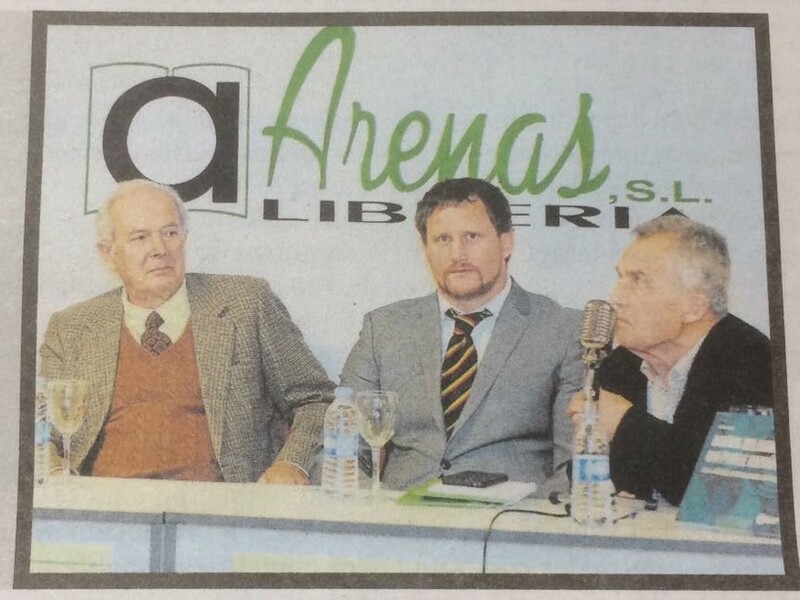 at the launch of the Spanish version of Cowie’s book in La Coruna Spain. The Ambassador of Spain comments that “this book focuses on the cultural relations between our two countries that despite being in the antipodes they might have shared a common history. It is really a food for thought not only for scholars but also for students in the schools of New Zealand”. The Embassy of Spain and Cowie have also offered a free personal copy to the first 10 history teachers that volunteer to write their own objective review on Conquistador Puzzle Trail. The Embassy of Spain and Winston Cowie look forward to the ongoing discussion on the theory that the Spanish and other Iberians were the first Europeans to voyage to New Zealand. Conquistador Puzzle Trail is available through Paper Plus stores, good independent bookstores and online at Fishpond.co.nz. Those overseas can contact Bookreps.co.nz to order a copy. “Plus ultra,” ‘Beyond’, as the Conquistadors would say. Onwards. This entry was posted in Uncategorized and tagged Conquistador Puzzle Trail, European discovery of New Zealand, New Zealand, New Zealand author, New Zealand authors, New Zealand discovery, Portuguese discovered Australia, Pre Tasman explorers, Spanish discovered New Zealand, Spanish voyaged to New Zealand, Winston Cowie by wcowie. Bookmark the permalink.